What is it that makes many of Europe’s largest cities the most romantic of places to visit? The history, medieval architecture, cosy little terraced hotels, intimate bistros and eateries, and terrace cafes, all are available to be enjoyed by visitors from around the world. Here are 10 to whet your romantic appetite. Tucked beside Le Bourget Lake, France’s biggest natural lake, and dominated by Mount Revard, Aix-les-Bains is the fourth most popular spa town in the country. 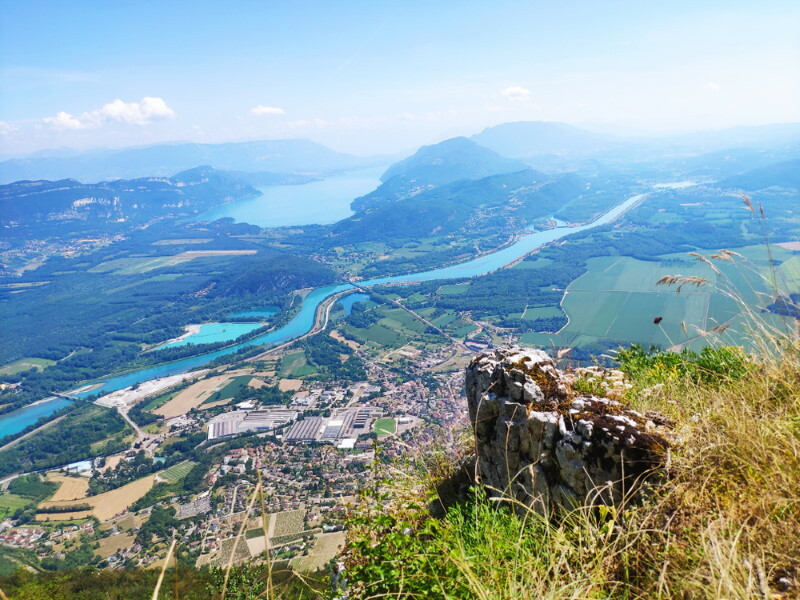 As the gateway to Bauges Massif Regional Natural Park with its vast areas of protected flora and fauna, it attracts naturalists from around the world. Accommodation ranges from cheap comfortable to 4/5 star spa hotels. 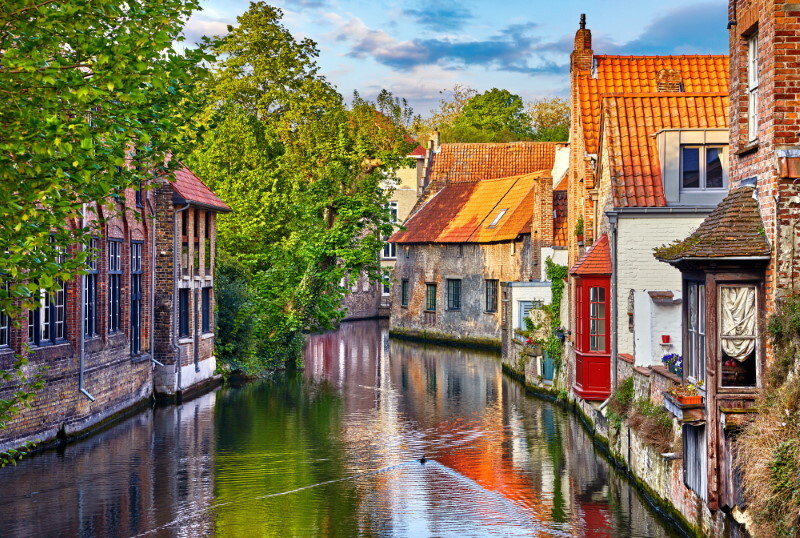 With its modern container and ferry port at Zeebrugge (Bruges-on-Sea), and its medieval architecture and cobbled streets, Bruges seems to have blended the old with the new in a way other large European cities have never been able to achieve. The spires of its historic buildings, quaint houses running alongside the busy canals, and its quiet serenity make it a favourite for those who enjoy fairy-tale romantic breaks. Sitting on the south-western Atlantic coast, Biarritz has become a favourite with young European surfers. That said; don’t dismiss it as a cheap destination for young backpackers. Although not quite as glitzy as the Riviera, pleasant hours can be spent in one of the roadside cafe-bars watching affluent visitors in designer gear mixing it with young surfers in loud shirts and flip-flops. 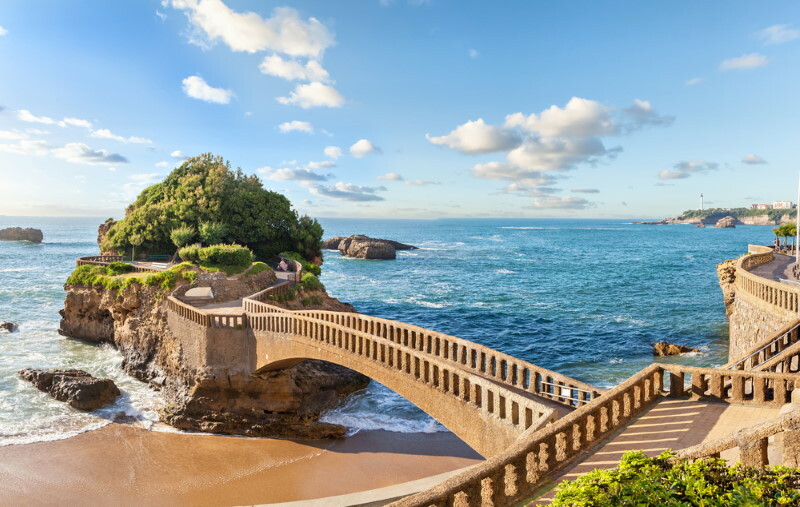 With its high quality hotels, international restaurants, local bars and cafes, and some famously romantic coastal walks, Biarritz offers something for everyone. 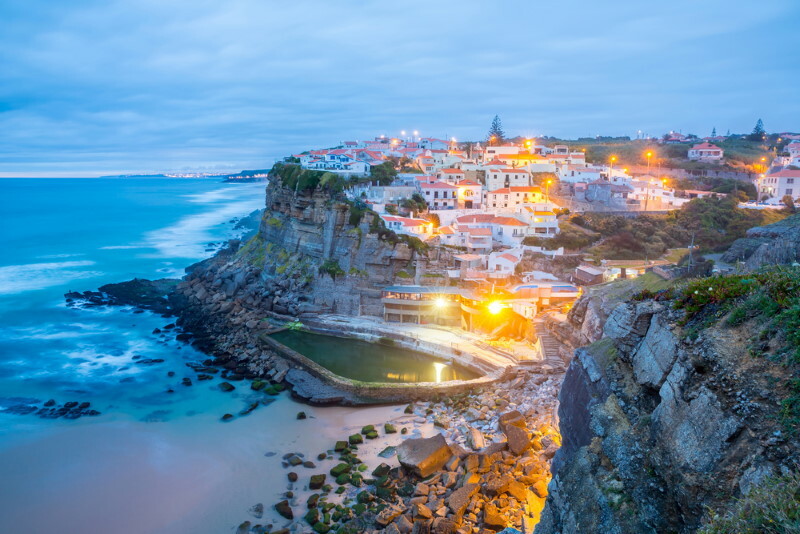 Surrounded by the pine forests of the Serra de Sintra, this attractive, romantic town was once the playground of the Portuguese nobility. Attracted by its milder climate, they built palaces, and lavished enormous amounts of money on luxurious residences and extravagant gardens, leaving a legacy of beautiful historic buildings, and gardens to be enjoyed by all who visit. In the town’s centre, the beautiful Gothic style of the National Palace is the centre piece of an area dominated by cobbled streets, traditional cafes, bars, and shops, offering local cuisine, refreshments and produce. With the River Danube running through the centre of the capital of Hungary, the EU’s third largest city has a 1,000 year old history. Since the collapse of the Warsaw Treaty in 1991, Hungary has rebranded itself to become a major tourist attraction, and Budapest has become one of the top 25 cities in the world people want to visit. 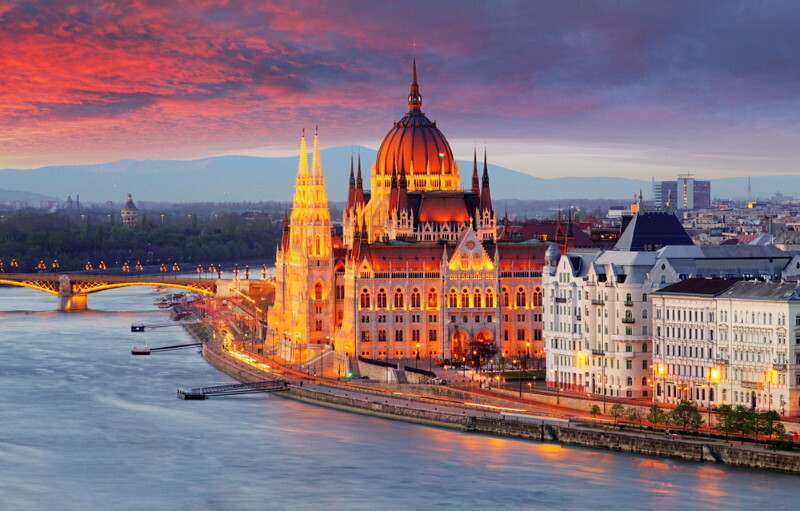 Its variety of accommodation, restaurants, nightlife, and numerous festivals, ensure Budapest continues to attract over 4 million visitors a year. 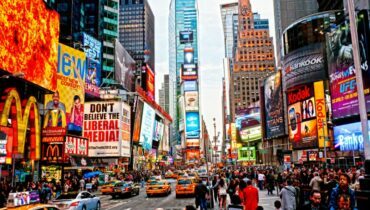 You don’t have to be an artist, or an art historian, to enjoy the wonders of this oh-so-romantic city, although an interest will certainly enhance your enjoyment. Accommodation runs from self-catering apartments, to family run B&B’s, to 5 star hotels. Eating the local produce grown in Tuscany, and enjoying the fine wines are part of the Florentine experience. 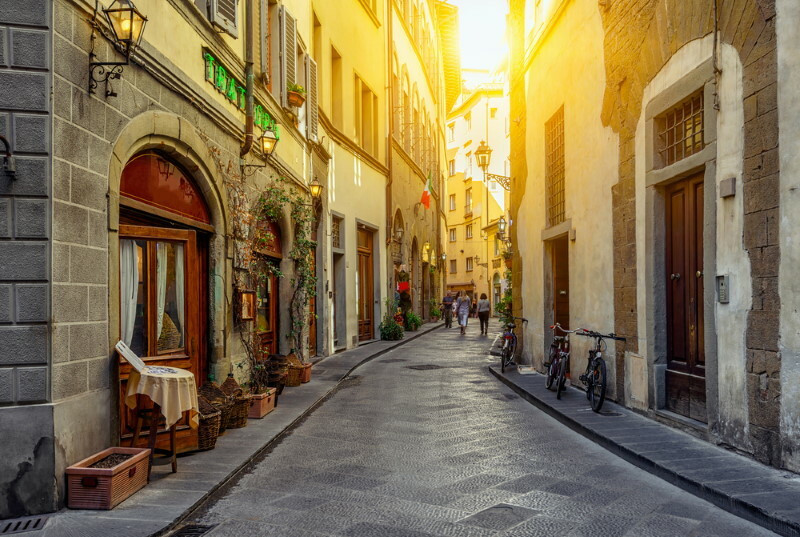 Enjoy a pleasant evening stroll through narrow cobbled streets, and allow the ghosts of such notable residents as Michelangelo, Raphael, and Leonardo da Vinci, to name a very few, to stroll along with you. Being home to the likes of Schubert, Johann Strauss, Beethoven, and Mozart, one can be forgiven for thinking Vienna is all about music. Whether you want to enjoy a romantic Viennese waltz on the hotel dance floor, or a Viennese whirl in the romantic elegance of one of Vienna’s famous coffee houses, you’ll be spoilt for choice. 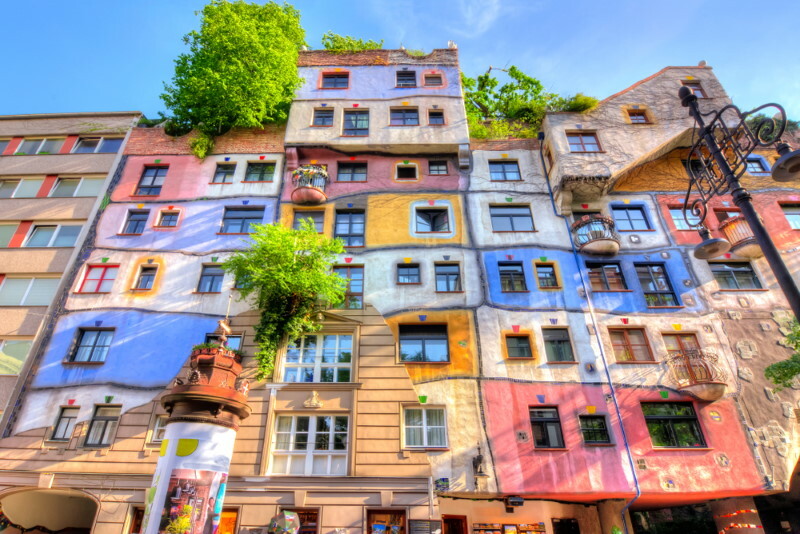 With its array of cultural attractions, medieval, narrow alleys, large imperial squares, and impressive architecture, Vienna is sure to rouse the romance – in even the most unromantic. 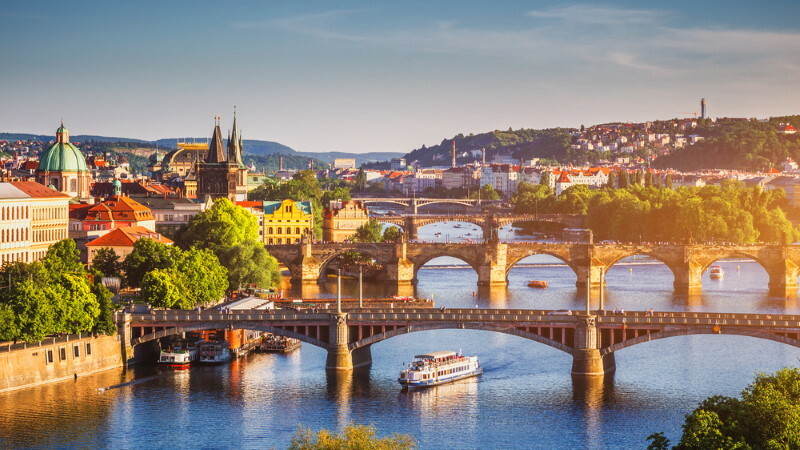 Prague is another capital city set on each side of a river, this time the Vltava River. A UNESCO monument, and known as the ’City of a Hundred Spires’, its ancient Old Town Square, many baroque buildings, and large number of Gothic style churches, make it one of the most attractive cities in the world. Check out the town hall’s astronomical clock, which dates back to the Middle Ages. Stroll the twisting alleys and lanes of the old Jewish quarter, and stop for refreshment in one of the many small cafes. With its designer shops, trendy boutiques, and cruises on the Vltava, Prague has something to suit all tastes. What can be said about Venice that hasn’t been said already? Visited by everybody who is anybody it has been featured in novels, films and TV adverts. 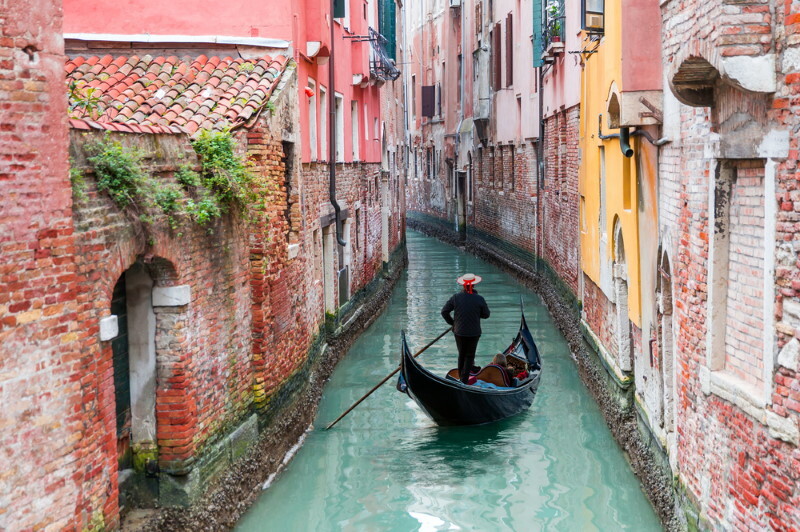 With its canals, gondolas, fabulous eateries, and comfortable hotels, a visit to the opera, a little retail therapy, and a trip on the Grand Canal, should provide that romantic break you’ve always wanted. And finally, in almost every list of romantic cities, Paris will undoubtedly feature somewhere. Little wonder then it’s known as the ‘City of Love’ – and lovers. A favourite with young honeymooners, afternoons can be spent relaxing in the sidewalk cafes, and strolling along the Seine. An evening visiting the Eiffel Tower, savouring genuine French cuisine in a small intimate bistro, before rounding the evening off at the risqué Moulin Rouge, provides a unique experience unlikely to be found in many other big cities.